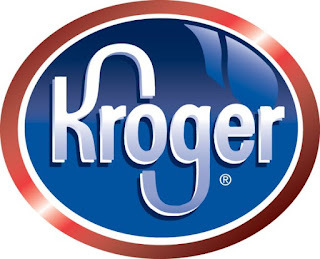 I am so excited that Kroger is having a Cartbuster Savings Event! It's a great time to take advantage of savings on some of your favorite brands like Honey Nut Cheerios, Cinnamon Toast Crunch, Pillsbury, Betty Crocker, Hamburger Helper, Yoplait, Progresso, Totino´s, Green Giant, and more! If you are a regular reader, you know I'm quite fond of Kroger normally. But, when they have a great event like this, well I just love this store. The Kroger Family of Stores and General Mills, through MyBlog Spark have provided me with a $25 gift card to grab some of these awesome savings for my family. I plan to hit the store tomorrow, with my coupon binder in hand. I can't wait to see what deals I can find! Even better, they are giving one of my lucky readers a $25 gift card to enjoy. To win, simply tell me what products you'd most like to stock up on while the prices are low. Be sure you leave me a way to contact you if you win. Deadline to enter is 3/19/10 at 8:00 pm CST. Ramblings of a Texas Housewife Product Review and/or Giveaway Disclosure- I have received no compensation other than the offer of free product to review and/or giveaway. Any opinions expressed on Ramblings of a Texas Housewife are my own. My reviews are never reviewed or edited in any way by sponsors. Thanks to the Kroger Family of Stores, General Mills, and MyBlogSpark for providing the information and gift cards for this post and giveaway. I want to stock up on Charmin and Bounty and Tide and Febreve - expensive necessities! I would stock up on baking ingrdents. Things like sugar, flour, chocolate chips. I’d stock up on Yoplait yogurt, Cascadian Farms granola bars, and Pampers. I'd fill up on pillscury items. For quick & easy suppers, I stocked up on Zatarain's and the double-packs of Hamburger Helper. I would stock up on cereal & pringles are a great snack.